The G1 has finally launched on T-mobile and a lot of people are asking me " Can I upgrade to a G1 from my current T-mobile phone?" Honestly I don't know, but I don't see why not. I tried digging around some other blogs ( see: Cell Phone Family Plans: T-Mobile 2 phone upgrade G1) but mostly came up empty. I would say the first thing you have to figure out is if you are a current T-mobile customer. That should be easy. Now are you eligible for an upgrade? that gets a little more complicated. Generally if you are a contract customer in good standing and are 22 months into your 2 year contract ( or 11 months into a 1 year deal), you are eligible. You will also need to be on an eligible plan of $39 or more. If you are really not sure if you would qualify for a G1 upgrade, you should contact T-mobile directly. I'm sure they will be glad to help, especially if you are ready to drop some cash. I posted before about ATT Wireless being the first major carrier to offer cell phone upgrades online through agents. Well, Verizon Wireless and T-Mobile have also joined the party. This is no surprise as there is a demand for this service and all the major wireless carriers tend to follow the others. With Sprint and AT&T being the early leaders, all of the major wireless phone providers and now on board with offering cell phone upgrades and contract extensions online. Why is this significant? Well, most people already have cell phones. and, believe or not, most people really don't like switching. Especially when a lot of the more popular phone models are offered in several models across all the providers. The solution? Staying with your current carrier and taking advantage of upgrade offers. However, until recently most of these carriers required existing customers to deal with the carrier directly or in their company stores. We know that shopping online is the best way to save money. There are many authorized agents and affiliates who sell wireless services online. When they are allowed to run an offer they almost always can beat the brick n mortar price. Now anyone can find a good deal and still keep their favorite carrier. 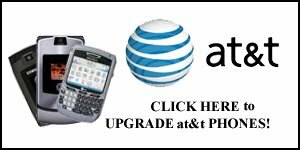 One of the most popular searches for free cell phone upgrades seems to be the ATT Upgrade offer. Perhaps this is because Cingular wireless was massively popular ( and in turn the New AT&T has all the old cingular customers)and many customers from the old Cingular are still using their phones from 2-3 years ago. A lot of these consumers are wondering what ATT is going to offer them as an incentive to get a new phone. Well, AT&T Wireless does seem very aggressive in the upgrade department, with even some of the newer and more expensive phone models available for free or very cheap for existing customers. Changing cell phone carriers has long been one of the easier ways for consumers to save money on cellular phone service and get a new phone at the lowest price. However, new pricing models and an increase in internet shopping competition have opened up new ways to save money- without switching. Consumers often complain that cellular providers do not appreciate current customers. All major wireless carriers offer free or reduced price phones for "new customers only." These deals require new customers to sign a contract, usually for two or more years. Existing customers often feel left out. In the past, customers stayed with their providers out of convenience and loyalty. A major factor was the ability to keep the same phone number. However, Wireless Number Portability was introduced in 2003. This allowed consumers to switch carriers and keep the same phone number. When wireless number portability came into play, more cellular customers started switching carriers to find the best deal. Since there are so many providers with wide coverage and customers can keep the same phone number, there is little incentive to stay. However, many carriers, including Verizon Wireless and AT&T Cingular, have become more aggressive in offering incentives to keep current customers. For example, Verizon now offers the "New Every 2" policy for existing customers. Current customers can choose from many free phones after fulfilling a two year agreement. This allows them to save $100 or more over the previous "upgrade" prices. Cingular Wireless, now a part of "the new AT&T", also offers aggressive pricing structures. Many of the phones offered for free to new customers are now available to current customers who extend their contracts for two years. Online wireless affiliates and authorized retailers have long offered lower prices than the carriers offer directly. This allows customers to save even more money. Cingular is one of the few major carriers that allow online wireless stores and their affiliates to offer phone upgrades. As of this writing only Sprint and Cingular offer phone upgrades on the popular cell phone websites. Existing customers can order a Cingular Upgrade at many websites and usually get a free phone offer. Before you ditch your current cell phone carrier for the hot free phone from their competitor, do some research. Ask your current provider what specials they can offer, but do not stop there. Before switching or paying a higher price, you should do an internet search. Chances are you will find a reputable wireless agent with the price you want.